A 40 something female biker who loves biking and my bike(s). I only learned to ride in May 2007, after being a pillion passenger for 20 odd years, and passed my restricted motorcycle test in February 2008. 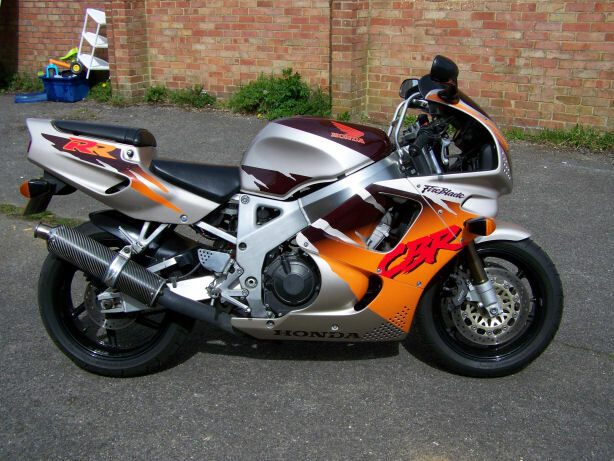 As I said I passed my restricted motorbike test in February 2008 and became the proud owner of a Honda CBR400RRN, in the Urban Tiger colour scheme. I have a HUGE interest in bikes and biking and as well as writing this blog I also write articles on motorcycle models for a popular Fireblade forum, as well as being an active member there, I am one of the modorators in the girls section. I am also a member of several other girls motorcycle forums. I am all for seeing more girls out riding their own bikes!! There arn’t enough of us out there on the road!! Well, thats it for now..
Take care of you for me..
Great to see more women taking an interest in riding. Good luck with the “Restoration”! Good blog Raven. Your personal insights are very helpful. I’m about the same age, height. It’s good to hear your views on things. If you need anything Yamaha, have a look at our site. You are an inspiration to me, I will explain, my wife has always loved bikes as I have but until I past my test in Dec 08, it was a pipe dream for us to have a bike and get some of that freedom, now that I have a 1998 zx7r and she sees me out on it most weekends, she has got more interested in actually doing the test herself, this is the inspiration part, I have shown her your blog and the comments you have made and her enthusiasm has flurrished, we are both just into our 40s and for her to see that there are others of our age, especially women getting out there and riding bikes independently, really gives her a boost, I don’t like the responsibility of a pillion, especially someone that I really care about, if you know what I mean, it will be fantastic when she can get her own wheels and I can look out for her when we go out riding. Keep up the good work helping me to get my wife the bike bug and giving her the confidence to do it. Thank you for your comment, I really do appreciate you taking the time to write it. As I have said in my blog I have loved bikes since I was a teenager, and was a pillion passenger for over 20 years. I wanted to take my test earlier but having my 3 children always meant there was never enough money to spare to go for my bike licence and buy a bike. As I was approaching the 40 mark I thought that it was almost a case of ‘now or never’ and so scraped the cash together to do a DAS course, which I loved even though it rained pretty much solidly for the 5 days. At least I learned to ride in the rain though! Unforunately I didn’t get to take my test at the end of the course as I had a run in that morning, on the riding schools bike, with a minibus which was on my side of the road and I fell off, damaging both me and the bike! I did pick it up and ride home though! And then I promptly started smoking again 😦 before phoning my boyfriend in tears! I can quite honestly say that learning to ride has been one of the best things I have ever done with my life, the freedom I have now is immeasurable. I just love riding and I absolutely love my bike! One thing about the pillion comment. My boyfriend is pleased I’m no longer a pillion, he felt the same way about having the responsibility for someone else on the back, so he is glad I now have my own bike. I’ve been on the back of his bike just once since I learned to ride, and I HATED it. Although my boyfriend is a very good rider and has been riding since he was a teenager, I no longer feel safe as I’m not the one in control! As someone who discover riding at this late date (I will be 49 this March) I been owner of my honda rebel now 6 moths, I say just do! Phil & Jayne you will soon find yourself spending time on the two wheels riding and enjoying the ride! Jayne I ride a honda rebel (250) its small but it is such a forgiving mc for a begginer. If you have questions on cruiser check out the rebel forum or drop me a line. 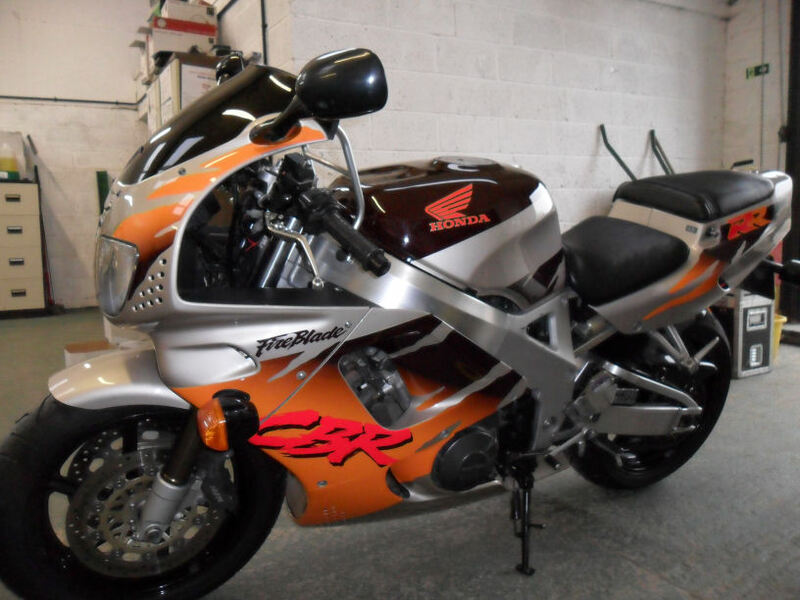 Firstly, Good luck with your CBT..
As for the CBR400, I do all the maintenance on mine myself and apart from possibly needing my other half to loosen a bolt or two, I have found anything I cant do myself 🙂 I find her a doddle to work on to be honest, getting the plugs out can be a bit of a bugger but being a girl with small hands is a definate plus as you don’t have much room to move around in at the top of the engine. The warranty issue isn’t because they are a grey bike anymore, its because of the age of them. Production stopped in 1998 if I remember correctly. But as yet I haven’t found any garage round my way who wouldn’t do work on it for me if it was needed..
can you help me , or direct me to a good website, so i can purchase it…. Hyperpro does one for that model from 1991 onwards. I’d email them on Email: info@hyperpro.com to check if it will fit your bike, then you should be able to order one through your local bike shop. Congrats and welcome to the addiction! It certainly is never too late to learn. Just wanted to say hello from San Francisco, CA. I also want to say hi – found your blog yesterday and think it’s great – I passed the restricted test in April 09 at the grand old age of 35 and love my Cagiva Raptor 125 – about to be derestricted. I’m having a second childhood as my son is now 15 and I’m doing a lot of the things I didn’t have time for and always wanted to do – and the social aspect of biking is great – i’ve met so many great new people! Hi Raven …. love ya Blog …. but more importantly as your a local girl in Banbury … with plenty to say about something interesting … thought i’d take the liberty and place you on Banbury’s newest community web-site (we’re a lot different to the usual local sites although we still have to sell advertising). If you object I’d take you off in the first instance. Please forgive me for not asking first! Well done, if it,s a mid life crissis then enjoy every moment of it. My partner whos it 42 now, just passed her test, I having been looking at one of the same bikes for her to start out on, yes she got her eye on the urban tiger as well. How do you find these bikes and what if any are the pros and cons to them. I,m a vtr firstorm owner and would like her to stick to Hondas. There aren’t that many Urban Tigers about unfortunately but they do pop up from time to time. You will have to keep your eyes open for one..
As for pros and cons..
Pros – Small size, light weight, low centre of gravity (makes for great cornering 😉 ), quick, easy to maintain, fairly easy to get parts for even though they are an older bike…. I think everyone here would find it interesting to watch! I love your site. You have given me the courage to carry on learning. I am 55 and have had an interest in bikes for a long time but never did anything about it………until last year. I did my CBT and passed my theory test. Last week I bought a Honda CG125. Ive been out a couple of times but am still very nervous and extremly wobbly (I have fell off twice). I have read your blog and decided to stick at the practice (I was having doubts). I hope to pass my test this year. Thank you for inspiring me to keep going! Thank you Sue for the compliment.. I fell off a few times when I first started but picked myself (and the bike) up and kept going.. Why don’t you join me and a whole bunch of other ladies on BikeGirl.. It’s a forum for girls and is a great place to chat and possibly meet up with other likeminded girls..
Didn’t know there were more women out there who liked riding! Got my licence at 24 (full) and am still riding at 53 (take away the times of pregnancy and small children,,,,) . I love it. Even if I am depressed once I get on my motorcycle I am always happy…. Great site. I found it accidentally whilst looking for tips for the shorter (vertically challenged) bloke. I am a short arsed (5′ 5″), porky, 50 year old and have been suffering my current mid life crisis, ZZR600, SV650S (and a very understanding wife) since I passed my test in 2003. Your tips are sound and I am currently looking to shave a bit out of the SV650 seat to try to get my feet flat on the ground. There are a couple of sites now that explain exactly how to do it. I (male) live in Japan now (from Aberdeen originally) and ride a CB1300S. I have many girlfriends here that also ride bikes. Most choose the CBR. 2 have the CBR954RR and several on the CBR600RR. Your post about the seat cut out has excited them all as they are all tiny Japanese ladies, and always on tippy toes. Beautiful to watch, but sad when they tip over at traffic lights, or awkward stops.